So Chic Services: We are always looking for unique products and services to share with our savvy audience. Let us connect you with our community! Event Strategist – Preview past events here. National and local brands hire us to create unique content that guests will never forget. PRIVATE EVENTS: So Chic Life sponsored events are the most anticipated and desired social gatherings for bloggers, editors, entrepreneurs and influential women in the Chicagoland area. We execute product launches, fashion shows, brand exclusive events and intimate networking soirees. Now in our fifth year, So Chic Media produces sold out events with 30-600 influential women in attendance at each event. To date, SCL events have raised over $70,000 for our charity partners – Step Up Women’s Network, American Heart Association Go Red for Women, Dress for Success, New Moms, Inc, Bundle of Joy Diaper Bank and Neighborhood Parents Network. With our planning, marketing and promotion expertise, we deliver unique and sophisticated event concepts, ensuring our network of women return year after year. 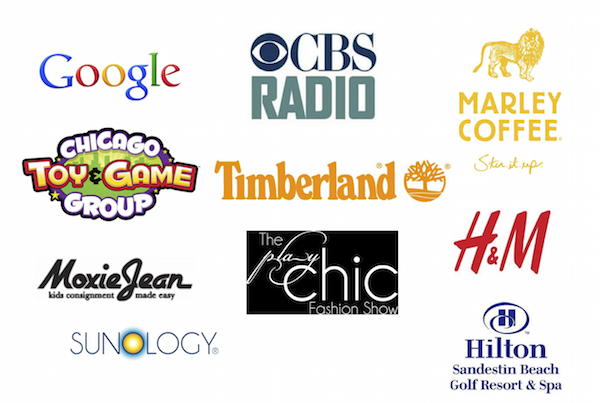 We have had the privilege to work with the following brands on successful events being hired as a brand ambassador to leverage our network to bring spread awareness and secure guests or partnering on media events as sponsors. SO CHIC CLIENTS: CBS Radio, Marley Coffee, Hilton Sandestin Beach Resort, Coolibar, Moxie Jeans, BabyBjorn, Timberland, H&M, Kimpton Hotels, Grand Geneva Resort, Laura Mercier, Zulily, Sue Devitt Beauty, BabyCenter.com, Cool Juice, Orbit Baby, Votre Vu, 1154 LILL Studio, LashDip, Revlon, Kiehl’s, popchips, Northwestern Memorial Physicians Group, Lulu B Wines, YES Vodka, Flutter Lash Studio, Classic Kids Photography and many more! To learn about future events and sponsorship opportunities contact us at sochicmedia (at) gmail (dot) com.